We’ve all become very familiar with the Battleship posters for Peter Berg’s new film as it’s currently doing the marketing cicruit on busses, bus shelterns, trailers and cinemas. Dave Plankton made it for b3ta.com and what an amazing job he has done! 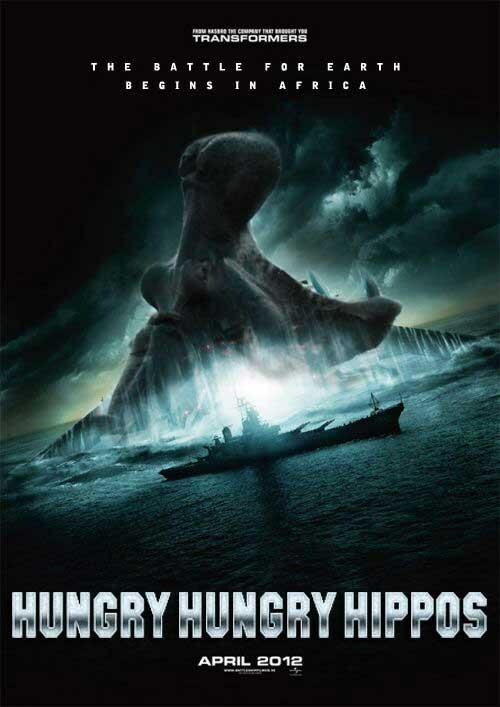 It’s an amazing parody poster for the movie using Hungry Hungry Hippos! It was so good, it had to go up. Watch youself from aliens who try and invade, and any giant hippos! Battleship is in cinemas now and you can see our review of the movie here and all our coverage here. Thanks to The Daily What for the heads up.